Still using Constant Contact for some of your email marketing? You can easily sync your list into SmartrMail with just a few clicks. It takes a few minutes for SmartrMail to import your lists. Once imported lists will be synced every hour for new or unsubscribed subscribers. 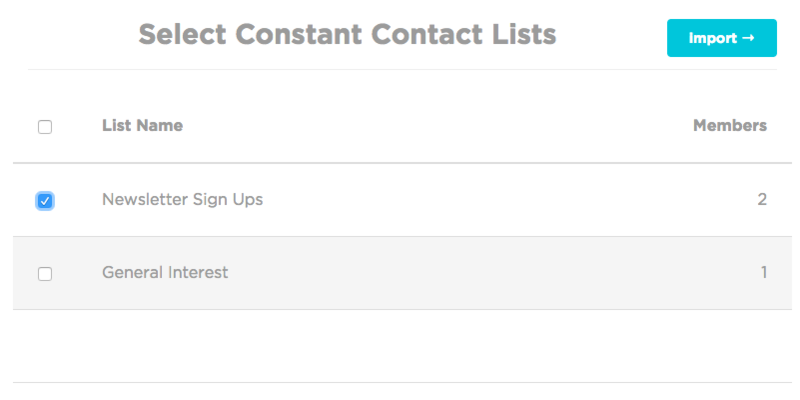 Note: Constant Contact integrated lists cannot be used for welcome emails. To set up your welcome email series, export your list and manually import your subscribers via a CSV file. Then, simply collect new subscribers through SmartrMail's HTML form or our email collection popup.